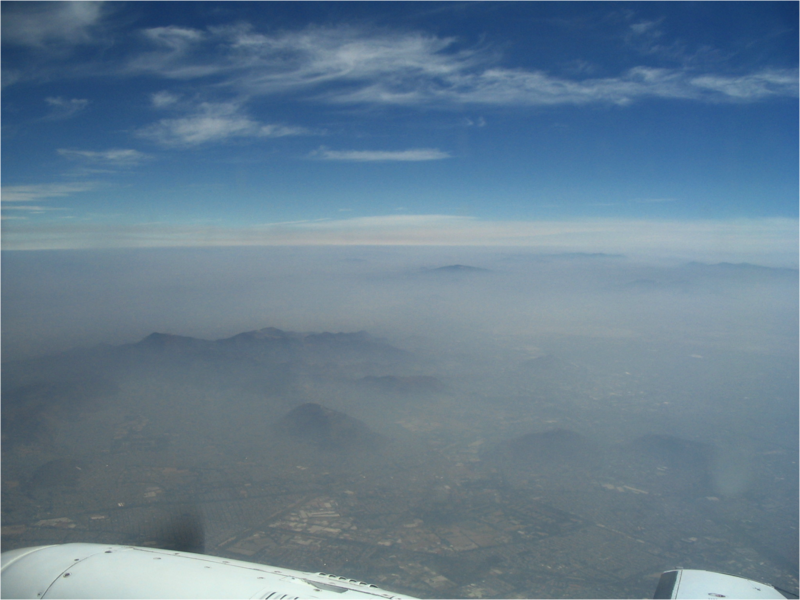 Measuring the radiative effects of aerosols from urban pollution is a challenge for space-based and airborne observations because of the variability of emission sources, plumes, topography, and surrounding clouds. Shown here is Mexico City during the NASA-funded MILAGRO mission (2006), from one of the radiation aircraft. The aircraft was deployed to validate and complement satellite observations (Courtesy Sebastian Schmidt/LASP). LASP has expertise in measuring solar radiation not only from space, but also in the atmosphere. LASP scientists regularly take part in field experiments to measure solar and infrared radiation on aircraft and unmanned airborne vehicles (UAVs). They develop new data analysis and modeling tools to study the interaction of radiation with clouds, aerosols, and the surface, with emphasis on spectrally resolved observations and modeling. To further explore the link between satellite irradiance measurements and climate- and weather-relevant atmospheric radiative processes, NASA GSFC and LASP established the Sun-Climate Research Center in 2011.